Your personal bar should speak not only for your taste in spirits but also give a hint as to your personal interests. That is why we offer such a wide array of stylized barware in our fine dining section. This way, nautical fans, history buffs, hunting enthusiasts, and nature lovers alike can all craft their own personal bar style. This section is filled with dedicated bar accents and decorations, all of which are perfect for not only styling your own personal bar but perfectly preserving your spirits and liquors of choice. 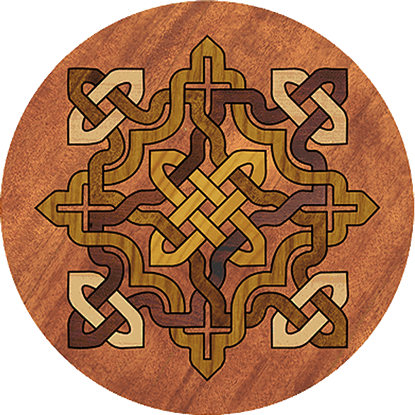 They go a long way towards creating a unique look for your bar that your guests are sure to take notice of. 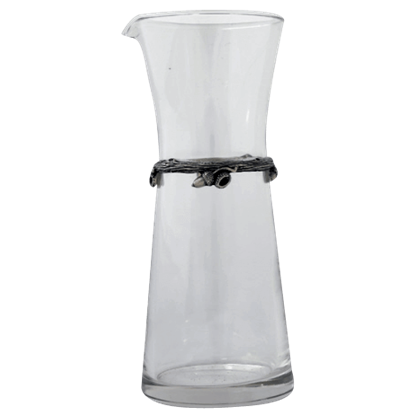 For holding spirits and drinks, we offer an assortment of carafes, pitchers, and decanters. For chilling your drinks, we have ice buckets in varying sizes, some small for convenience and some large enough to hold ice and the bottle you want to chill! We also offer decanter tags with clear terminology on them, so you can easily label your liquors. Finally, we carry bottle stoppers, so that once you have stopped imbibing, you can cork your preferred drink and keep it sealed, to preserve its flavor and vintage for another day! 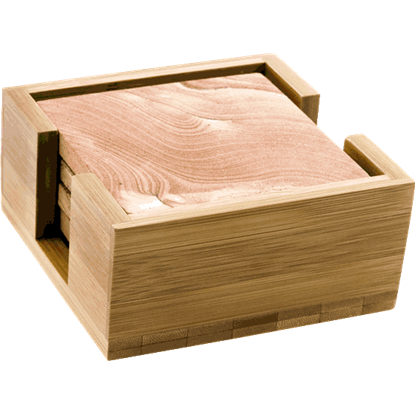 All this is offered in our barware section amid a few other choice elements like coasters and bottle openers, to ensure that when you guide your guests to your bar, it is an experience that they will not soon forget. 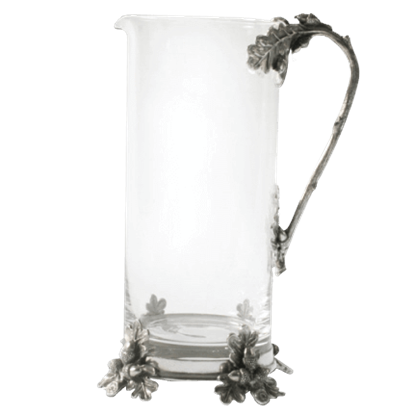 The Acorn and Oak Leaf Glass Pitcher is a straight-sided pewter and glass beverage server, ready to be admired and filled with cool drinks. Tall and slim, it takes up a small amount of table space yet imparts a large amount of style. 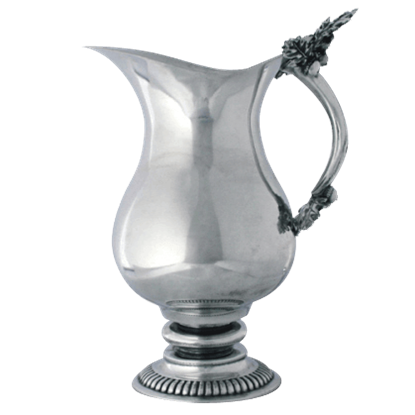 Gently curved and uniquely accented, the Acorn and Oak Leaf Pewter Pitcher is the perfect choice for occasions when nature and elegance are on your style menu. 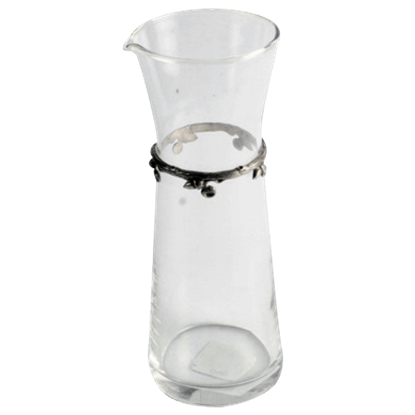 This pewter pitcher makes a great piece for your dinner table or bar. 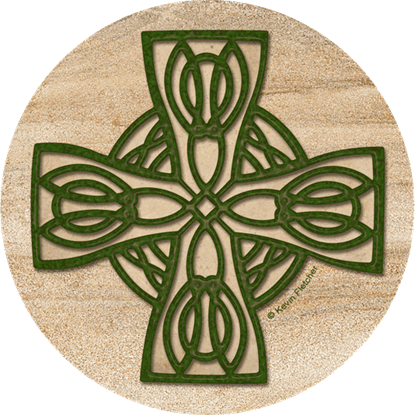 This beautiful Acorn and Oak Leaf Wine Coaster features an overlay of intricate acorn and oak leaf artwork on its hammered metal sides. 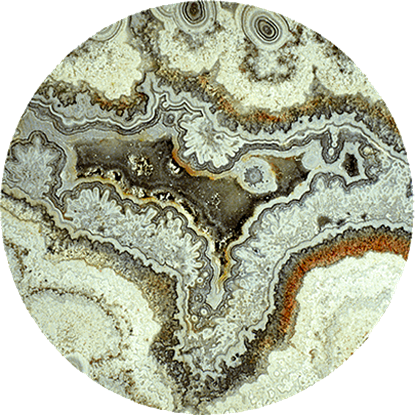 The rustic unevenness of the rim is a nod to the natural curves of nature. Does anyone at your next gathering have a strong preference for what wine they will have? If so, place a few of the Acorn Band Individual Wine Carafes on your table to serve each beverage with ease and great visual appeal. The Acorn Band Large Wine Carafe is a perfect glass vessel to show off the beautiful color and clarity of the wine at your table. Your favorite vintages will look spectacular when served from this acorn carafe. Anyone who has ever hosted a party knows the necessity of keeping ice ready for your guests. 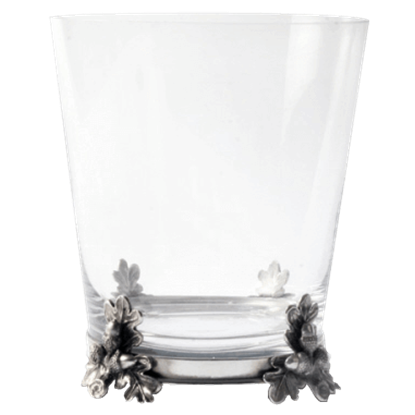 The Acorn and Oak Leaf Ice Bucket is a classic, clear glass, pewter-embellished ice bucket for holding ice cubes or chilling a bottle. This sensuously curved, cast pewter pitcher features a naturally shed, hand-turned antler handle, securely attached with a stylized scrollwork arm. 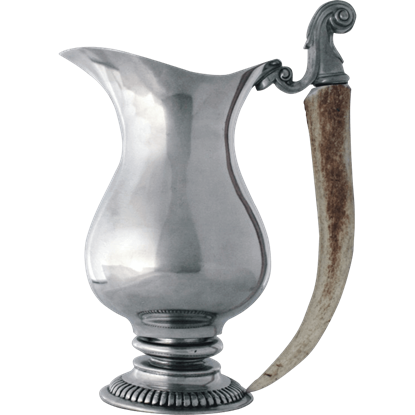 The Antler Handle Pewter Pitcher makes a stunning addition to any dinner table. 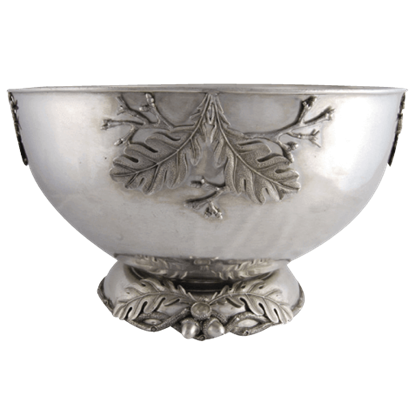 Beautifully ornate with inspiration from nature, the Charter Oak Ice Tub can easily double as a punch bowl at your next gathering. 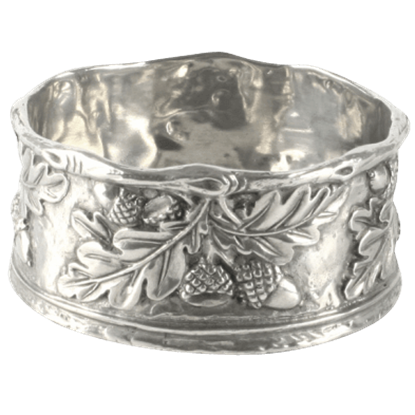 This large serving bowl has an appeal that no one can ignore, making it a great feature for your table.